Why Visit An Event Taking Place In… Madrid? Home>All News>Why Visit An Event Taking Place In… Madrid? Magerit, 'land rich in water' is how the Arabs called this area on the central plain of the Iberian Peninsula, where King Phillip II of Spain later established the royal court. Throughout the sixteenth and seventeenth centuries, Madrid was the capital of a huge empire. The city drew writers, artists, fortune hunters and members of “the movida” that helped shape the current cultural richness of the city.
" Whether you’re travelling on a budget or willing to treat yourself with luxury, you’ll find Madrid fits any traveller’s needs.	" WHY PARTICIPATE IN AN EVENT IN MADRID? Easily accessible with over 200 direct flights, Madrid’s rich entertainment and cultural offerings await you. 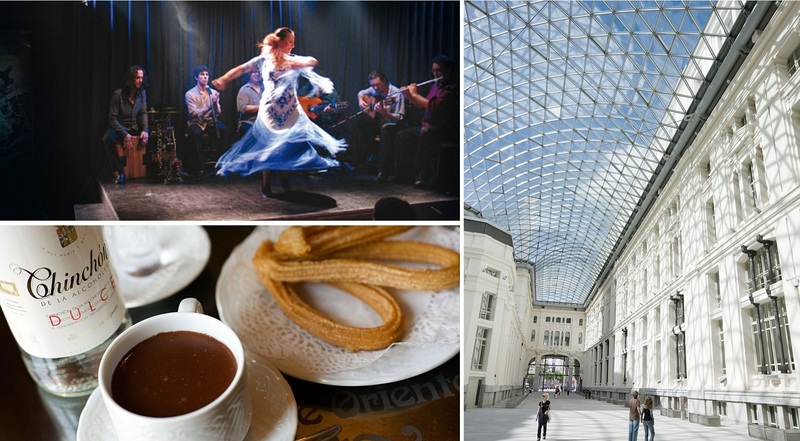 The city has more than 800 hotels in various categories, an amazing gastronomic tradition, with 17 Michelin star restaurants, and of course, culture – the largest art gallery in the world, Museo del Prado, shines as one of Madrid’s crown jewels. 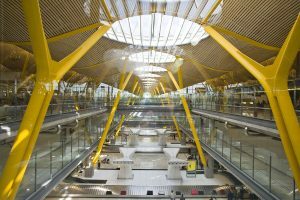 Madrid’s airport Adolfo Suárez Madrid-Barajas serves international flights from all over the world. You can also get to Madrid by train from any of the major cities in Spain, Portugal and France. Once in Madrid, the airport is connected to the historical centre by train, metro and bus. With a single ticket of five euro, you can get with the metro to Puerta del Sol in only 40 mins. Alternatively, there is an Exprés Aeropuerto (Airport Express) shuttle which runs almost continuously. You can use the express to return to the airport from pick up spots in the city. Madrid has wonderful public transportation and the second largest metro network in Europe. You can get around using the Metro, bus, bike or taxi. See more information here. Madrid will surprise you with its intense blue sky. In spring, Madrid’s parks, gardens and green spaces are bursting with flowers. The first months of the year tend to bring rain, with an average temperature in April about 12ºC (54ºF). As the month of May progresses, the weather becomes almost summery, with average temperatures reaching 21ºC (70ºF) by June, when the streets get lively. Whether you’re travelling on a budget or willing to treat yourself with luxury, you’ll find Madrid fits any traveller’s needs. Leisure and cultural options range from admission-free museums to exclusive VIP spots. Madrid is a carefree, unprejudiced city, and a favourite with the LGBTQ community. It also offers a wealth of possibilities to families on holidays, classic travellers or those pursuing the latest trends in alternative fashion, music and art, as well as – the conference delegate. Choose YOUR Madrid here. 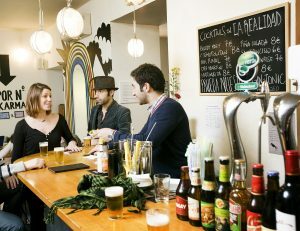 Madrid is brimming with revamped markets, where locals do their weekly shopping and meet friends for a drink and a bite to eat. Don’t forget to try Tapas, soak in the atmosphere of centuries-old restaurants, and of course – end with a sweet local treat. Did you know the world’s oldest restaurant is in Madrid? It is called Botin and you should plan to visit it during your stay. From outstanding amusement parks, vast green spaces and football stadiums, Madrid offers a portfolio of activities you can do with your whole family. From visiting the top of the city at the Observation Tower to diving deep in the Zoo Aquarium’s depths, you and your whole family are guaranteed great family fun. 25% of Madrid’s area is green, including locations such as the National Park of El Pardo. The city is the second city in the World in terms of tree lines (after Tokyo). Madrid also has 7 UNESCO World Heritage Sites in its surroundings. Madrid is the capital of Flamenco, it is the place to be for anyone looking to succeed in the genre. Any day of the week, the city offers a wide range of shows, from grand performances in the city’s theatres to small song and dance recitals in tablaos or halls. Many people associate Madrid with football. Naturally, one should not miss seeing Real Madrid and Atlético de Madrid, two of the world’s best teams, in action. The city also offers outstanding golf courses, an Olympic-size ice rink, and tennis facilities for world-renowned championships.